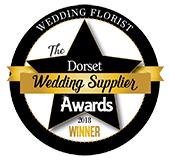  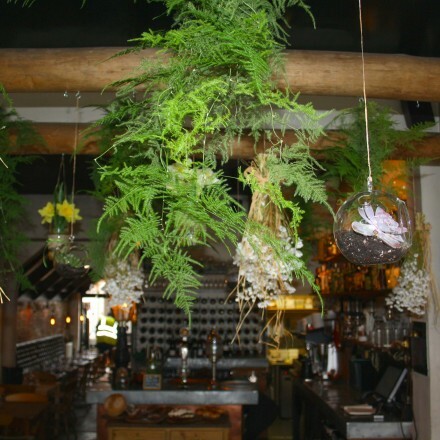 The Larder House in Southbourne dons a new look for the spring…. 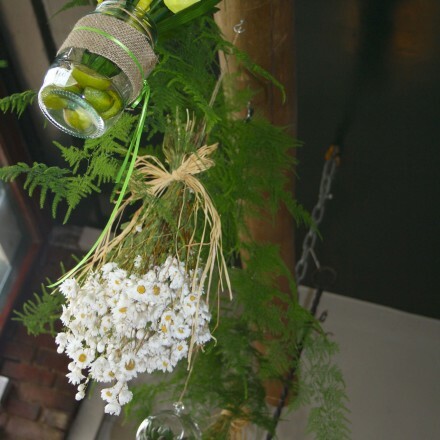 I love a good beam change to embrace the start of a new season. 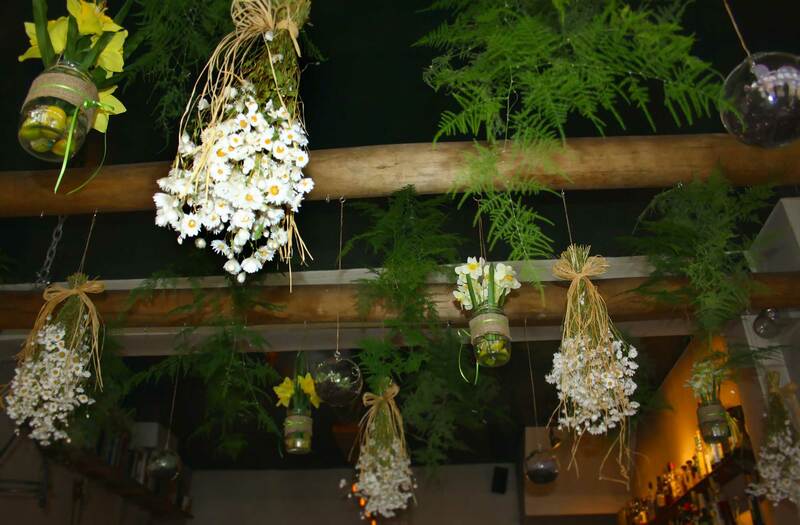 Fresh zingy lime filled jars with Daffodil and Narcissi. 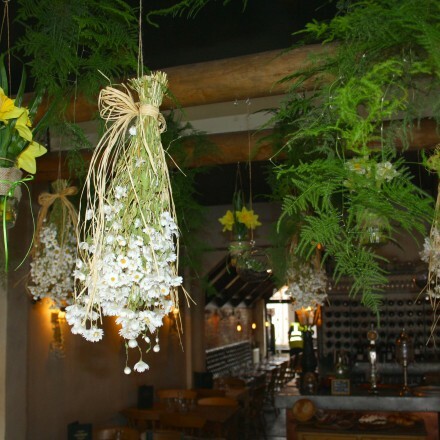 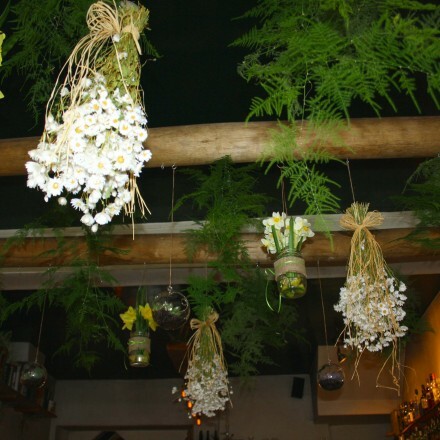 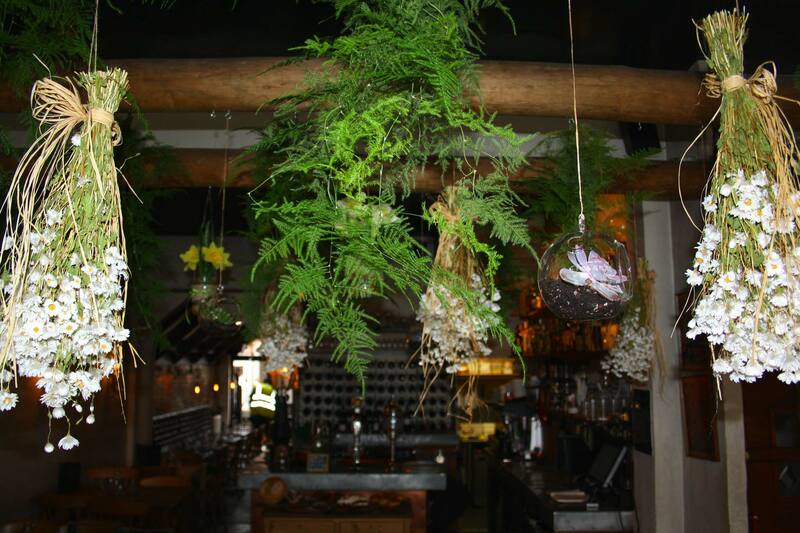 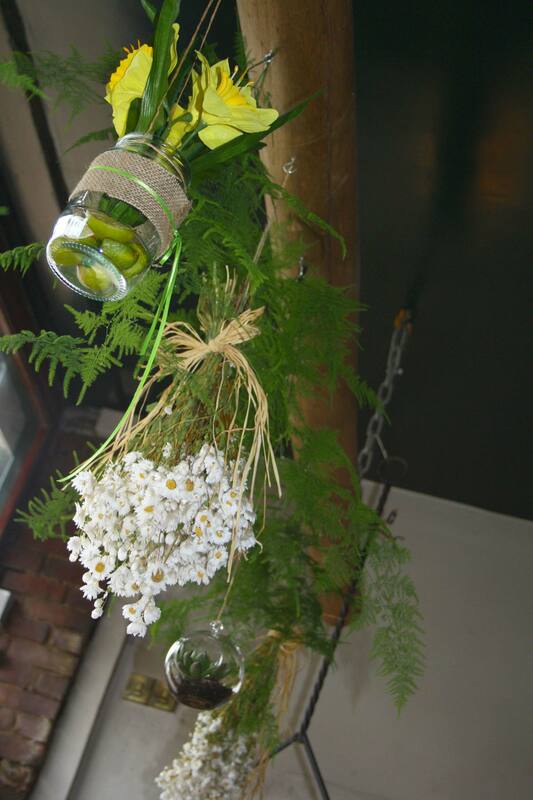 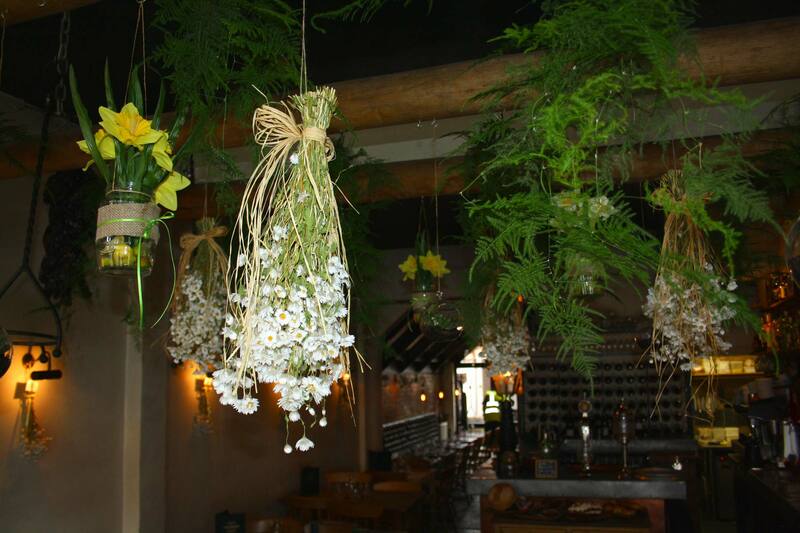 Natural dried camomile bunches, with botanical hanging fern and succulents plants in glass globes.